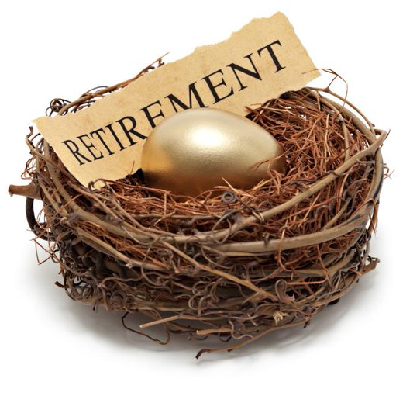 How Can I Avoid Taxes and Penalties Associated with Liquidating an IRA? QUESTION: I have an IRA. Last year (2015) it basically went nowhere, and I am really starting to get worried about the possibility of another big stock market correction. I’m also concerned about having so much invested in paper assets given the financial system looks so risky. My problem is the penalties and taxes associated with selling stocks in the IRA to buy physical bullion. Should I bite the bullet and liquidate some of my IRA anyway? ANSWER: There is a simple way to buy physical bullion and avoid the taxes and penalties associated with liquidating an IRA prior to age 59-½. You can set up a Self-Directed IRA with a firm that specializes in them and buy and hold your bullion obtained from Money Metals Exchange. (We recommend a couple of self-directed IRA firms -- who have treated our customers well -- via our website). Simply transfer funds from your existing IRA into a self-directed IRA account, choose a depository who can provide storage, then buy the physical metals you want. It is all done within IRA guidelines and completely without consequences in terms of taxes or penalties. Unfortunately, a lot of investors aren’t aware of this option despite the fact that people have been using it to hold assets such as real estate, privately held company shares, and bullion for decades. The IRAs marketed so effectively by banks and brokerages never include the self-directed option. Instead most IRAs are limited to the usual lineup of stocks, bonds, and mutual funds -- all of which are financial instruments, of course. The reason is that self-directed accounts will not generate the handsome fees and commissions that Wall Street loves. Bring up the idea of opening a self-directed account and using it to buy physical gold or silver and your broker will probably shudder and try to talk you out of it. Now does appear to be an opportune time to switch some of your investments in stocks into bullion. Stock prices are near all time highs. Precious metals, on the other hand, are enjoying a great start in 2016, but have a very long way to go before recovering to the 2011 highs. And, yes, the financial system looks like trouble. Banks are even larger than they were in 2008 and, by many measures, are even more leveraged than prior to the last financial crisis. Investors are starting to pay attention to that fact. The share price of Deutsche Bank, one of Europe’s largest, is very near its crisis lows as the market is factoring an increasing risk of failure. The potential ramifications of default at Deutsche Bank (DB) would be hard to overstate. DB is a much larger institution than Lehman Brothers, whose collapse set off the chain of events that led to the 2008 catastrophe. Why is the Price of Gold so Low Despite Demand for It? QUESTION: I have been reading a lot about massive gold buying from Asia -- China and India in particular. However, the price of gold is about $700 below the highs it made in 2011. If demand for gold is really that high, how come the price is saying the opposite? ANSWER: Gold and silver prices are increasingly disconnected from fundamentals in the physical markets. This is possible because the price is set in markets where the vast majority of participants care nothing about the physical metal. The bulk of selling is on paper and the supply of paper gold is now hundreds of times more than what is actually available to make delivery. And large banks playing in those markets have admitted to rigging prices and cheating their own customers. In other words, the markets setting the price of gold and silver aren’t functioning the way most people might think. And they are neither free nor fair. Most people assume gold and silver investors must be selling more than they are buying. But ask any dealer who buys and sells coins, rounds, and bars and you’ll find the opposite is true. There have often been shortages of these products as mints and refiners could not keep up with demand. Because of rising premiums, the price of a one-ounce coin has often been much higher than the spot market price. If you wanted the actual metal, you had to pay up to get it. There is very good evidence that metals prices have been capped well below what the physical supply and demand fundamentals might dictate. The list of parties with a motive and the wherewithal to do this include the bullion banks seeking to profit by rigging the casino, central banks who consider gold and silver as a competitor to their increasingly unsound fiat money, and opportunistic nations -- such as India and China -- who would like to accumulate physical metal at the lowest possible price. The demand from Asia and elsewhere will eventually be reflected in the price. The leverage in the paper markets could finally unwind as traders learn that a paper contract for metal is really an empty promise. At that point we can expect a new mechanism for price discovery -- one that reflects physical fundamentals. Or the paper price will rise high enough to encourage sellers to deliver more physical inventory. The leverage has been exploding higher in recent months leading some to believe a reckoning will soon be at hand.